The glorious cherry blossoms all over Kansai and Japan are a sure sign of spring and we have been super busy getting ready for our second growing season at Hello Farm Organics. 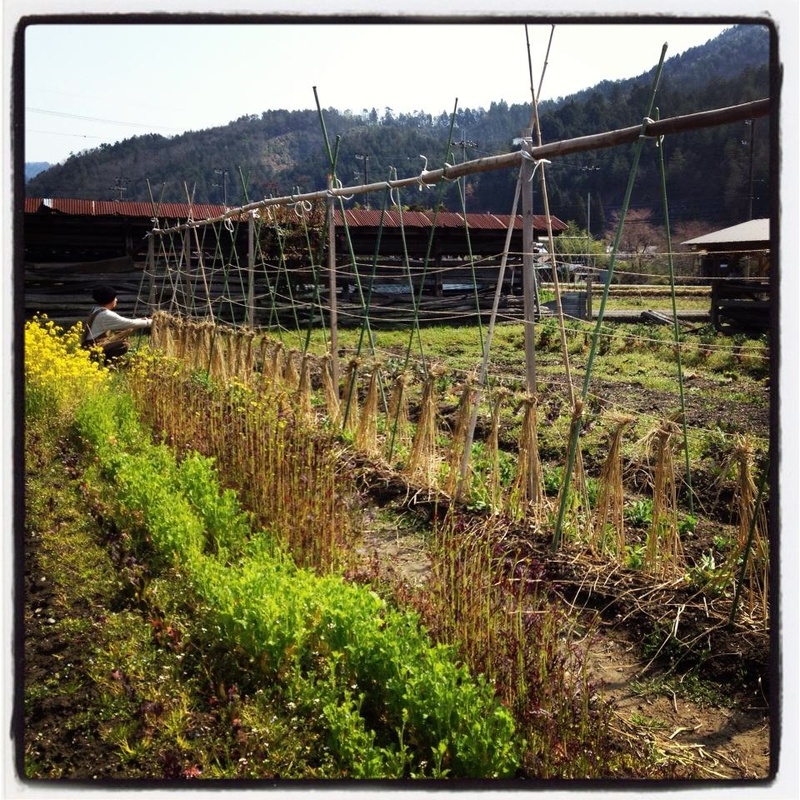 In the photo, Zenryu is using Kyoto rice straw to trellis organic snap peas, which we seeded in the fall and successfully overwintered under the snow. It is always exciting for us to learn local Kyoto techniques from our neighbors. This was the first time either of us had trellised peas in this way. This year, we have been able to get into our garden much earlier and as a result, we feel much more prepared for the coming growing season. As promised, we still plan to start offering our own Hello Farm Organics veggie box delivery program in June. Although we have continued to harvest all winter, our program will not start until June when we have a greater variety of produce to offer. We will have 20 veggie boxes available for families each week on a first-come, first-serve basis. We will cater to English-speaking residents as it is a challenge for non-Japanese speakers and readers to find healthy, safe, organic vegetables in Japan. Please keep watching for news and updates. We sincerely appreciate your ongoing interest and support in our farm. We can’t wait to start sending donations Northbound to Fukushima again this year. We are so happy to be able to continue participating in food safety programs here in Japan, and the Hello Farm Project again this year.